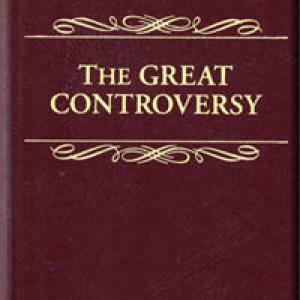 Seventh-day Adventists, historically, have been guided through several major theological crises by the messages of Ellen White. We probably would not have survived the movement’s first fifty years without her. And without her, the blip called Seventh-day Adventists would have been a mere footnote in someone’s doctoral dissertation today. Putting it all together, without her, Adventists today would not be a worldwide community, with its established educational and health institutions that have proved their worthwhile contributions throughout the world. Her messages have been relevant and sui generis. But she was not a “flash in the pan,” as many other nineteenth-century “prophets” were. Her main contribution was not predicting the future, though she did just that with profound accuracy. Nor did she in any way try to build a monument for herself, with special material favors. Ellen White simply told the story of Jesus and his plan for our salvation in a more convincing, more biblically centered message than anything this world had seen since apostolic days. In telling this story in what came to be her central emphasis, the Great Controversy theme, she never lost sight of her personal joytelling the truth about her Lord and Savior. That focus helped her to recover New Testament truths that had been mauled by theologians for many centuries. That kind of recovery was predicted by John the Revelator as a marker of God’s last-day loyaliststhose “who keep the commandments of God and have the testimony of Jesus Christ” (Rev. 12:17) and further explained in Revelation 19:10, “the testimony of Jesus is the spirit of prophecy.” Ellen surely focused on Jesus! What did God help her to recover? In a short list, Ellen cut through the theological jungle of many centuries with an integrated emphasis on such core biblical truths as (1) the Seventh-day Sabbath; (2) the non-immortality of the soul and the two resurrections; (3) the annihilation of the unsaved; (4) a larger view of what happened on Calvary, why Jesus came to Earth, and why he died; (5) what Jesus is doing now in the heavenly sanctuary as he continues to help us in removing inherited and cultivated tendencies that contradict the will of God; (6) a snapshot of the kind of people who will be translated; and (7) a recovery of New Testament understanding of righteousness by faith. For the nineteen century, this was a blockbuster explosion of eternal truths that energized a small movement that soon became global. But after saying all that (and “that” has no modern parallel), her theological emphasis was always on how doctrines were not the gospel! The Good News is not about Jesus: the Good News is Jesus. Teachings about Jesus provide the framework for proclaiming the gospel, but Jesus himself is the gospel. Jesus and his teachings are not the prelude to the gospel, they are the gospel! Ellen, from her earliest days, caught the vision that getting the truth about God right was the core and plumb line for all Christian doctrine. Getting a picture of God wrong (such as the Grecian passive God, or Calvin’s sovereign God who predestined everything, for examples) inserted a deadly virus in the blood stream of most all other Christian doctrines. That’s why Ellen’s major message, which streams though most all her writings from start to finish, highlighted the fact that God was not what Satan had made him out to be. She found great energy in emphasizing our Lord’s earthshaking statement: “He who has seen Me has seen the Father.” The love, fairness, justice, and mercy that we see in Jesus mirror our Father in heaven. But there is more and it gets even more earthshaking. In addition to emphasizing God’s Big Story of how he planned to save rebels from this earth through the life and death of Jesus, she followed his plan as Jesus explained the work of the Holy Spirit. With Jesus physically absent from this planet, the plan continued through the work of the Holy Spirit: “I will ask the Father, and he will give you another Helper, who will stay with you forever. He is the Spirit, who reveals the truth about God” (John 14:16, 17 TEV). To make sure the disciples got the message, Jesus said: “The Helper will comethe Spirit, who reveals the truth about God and who comes from the Father. I will send him to you from the Father, and he will speak about me” (John 15:26 TEV). Further, “All that my Father has is mine; that is why I said that the Spirit will take what I give him and tell it to you” (John 16:1315 TEV). In biblical shorthand, we thus have the Spirit of prophecy being the testimony about Jesus. Thus, the genuine prophet tells the truth about Jesus who has told us the truth about God the Father. But Ellen’s basic message doesn’t stop there! This chain of truth-telling about God’s plan for rescuing former rebels now becomes the job description for genuine Christ-followers: “As you (Father) sent Me into the world, I also have sent them into the world” (John 17:18). And this last link in the chain of telling the truth about Jesus and the Father determines when God will allow the malignant and furious Satan to have his final Holocaustic hateful rein on this earth for a season before his return. She appealed to fellow church members for most of her seventy years to realize and grasp that the Holy Spirit’s happy task is to make them mirror reflections of their Lord, as the moon reflects the sun. Through approximately twenty-five million words (and who knows any religious writer who used more biblical texts than Ellen), she passed on the main theme of the Bible, that to know God and Jesus is to find life eternal (John 17:3). That to really know them transforms one’s lifethe real evidence that they really “know” God and Jesus. The book hinges on the issue of integrity. Job acts as if God’s integrity is on trial. The opening chapters of Job, however, reveal that God staked a lot on one man’s wickedness or righteousness. Somehow, in a way the book only suggests and does not explain, one person’s faith does make a difference. Job reminds us that the small history of mankind on this earthand, in fact, my own small history of faithtakes place within the larger drama of the history of the universe. We are foot soldiers in a spiritual battle with cosmic significance. We are God’s Exhibit A, his demonstration piece to the powers in the unseen world. The New Testament insists that what happens among us here will, in fact, help determine the future of that universe. Paul is emphatic: ‘The whole creation is on tiptoe to see the wonderful sight of the sons of God coming into their own.’ [Romans 8:19, Phillips]. Has anyone, theologian or layperson, said all this any better than Ellen White and Phillip Yancey? 1. Philip Yancey, The Bible Jesus Read (Grand Rapids, Mich.: Zondervan, 1999), 46 –67. 2. Philip Yancey, Disappointment With God (Grand Rapids, Mich.: Zondervan, 1988), 170-73. Herbert E. Douglass writes from Lincoln, California. He is a theologian, retired college administrator, and author of twenty-two books.